I love summer!I love every minute of it and it’s so hard to believe that this month is coming to an end. July is a big month in our house. We have 3 birthdays to celebrate! Next weekend we will have a huge dual party for my boys, so I will be busy planning and getting ready for their big day this week. 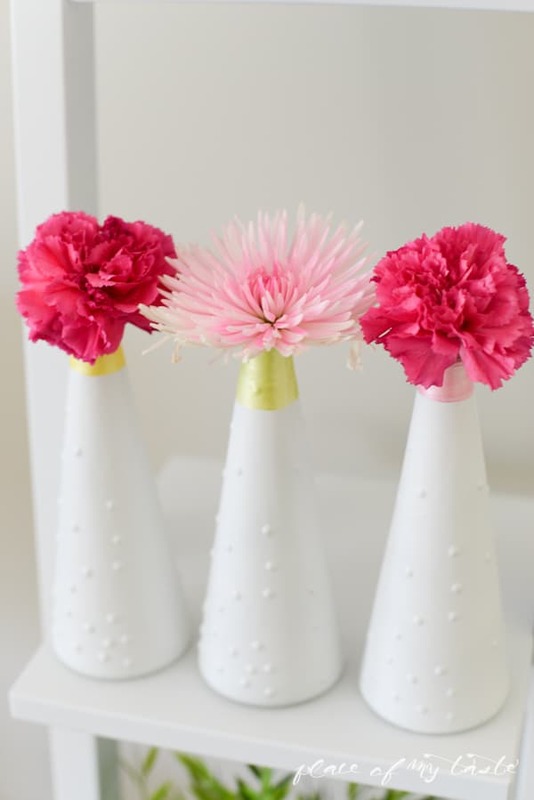 It’s Monday and I am not sharing a recipe today but some really simple to make and cute painted vases. I am still , yes, still working on my bedroom makeover. 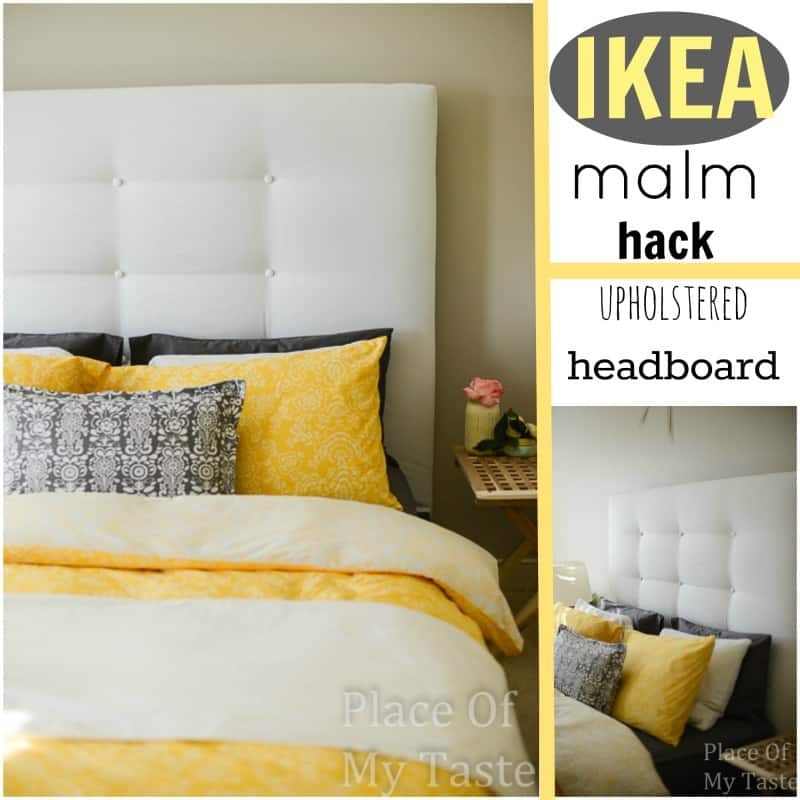 Originally it was going to be yellow and gray combination but then I decided to add some bright colors to the room. 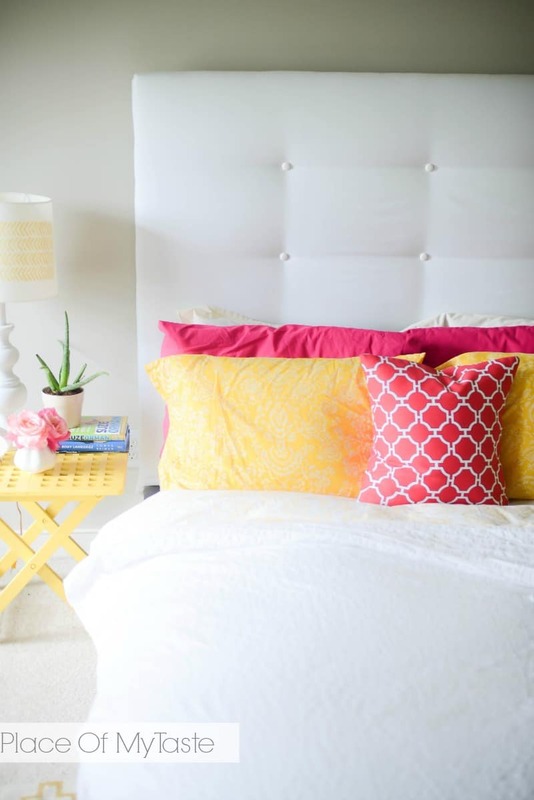 I chose pretty raspberry pink next to the yellow and gray as an accent color. It slowly coming together but I hope to finish the room soon. 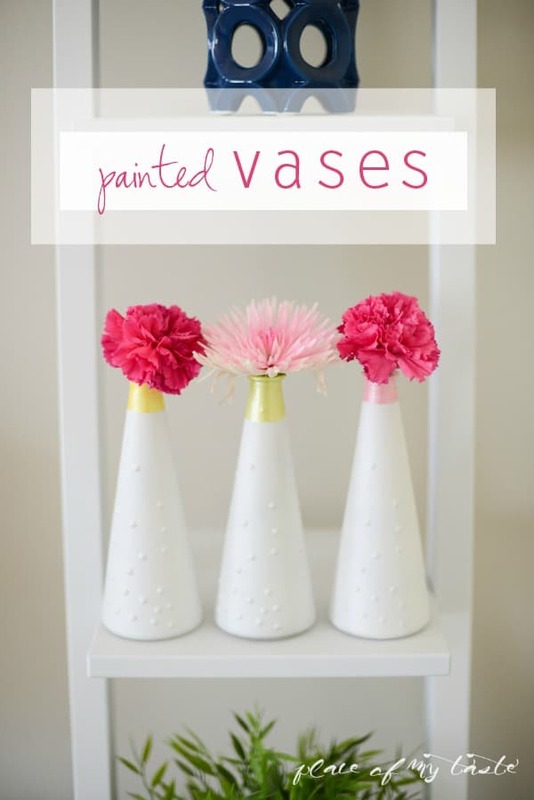 These super easy painted vases are part of my bedroom. 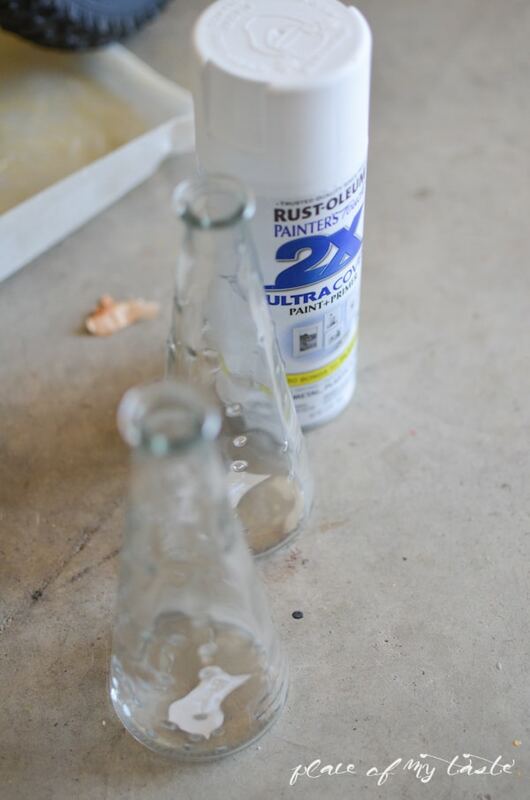 I sprayed a think coat on them with my flat RUST-OLEUM white paint and let them completely dry. 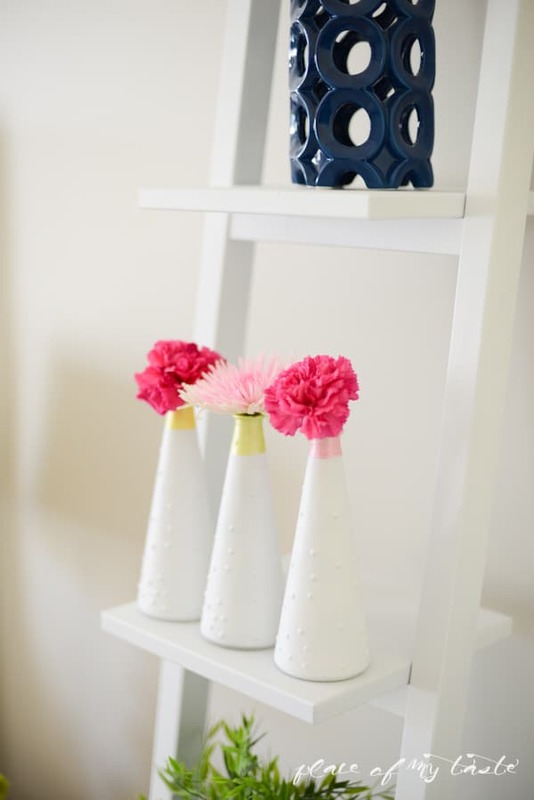 Then I took some acrylic paint and painted the necks of the vases with pretty pastel colors. I think they turned out darling! They make such nice decoration in my room. Sometimes it’s the little things, right? We don’t always have to think big. 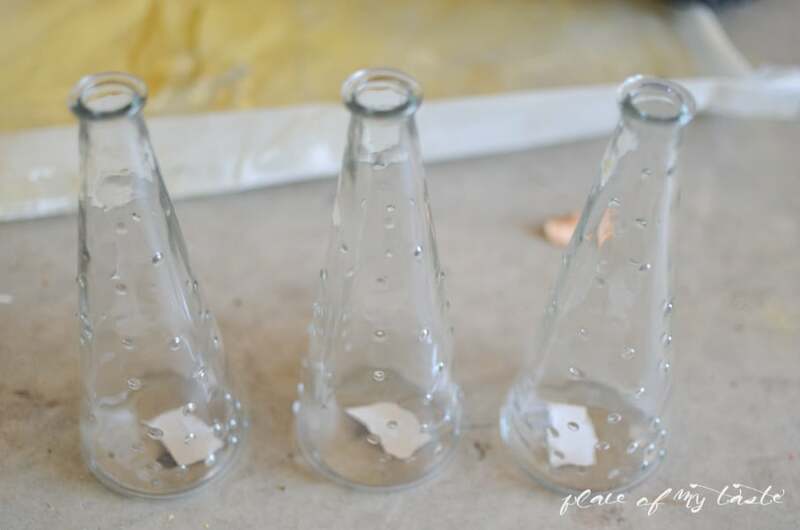 I hope I inspired you to get that spray paint and paint some glass vases today! Here are some more images of my bedroom. Come back to see my mid-century modern dresser makeover tomorrow! Happy Monday and have a lovely day! 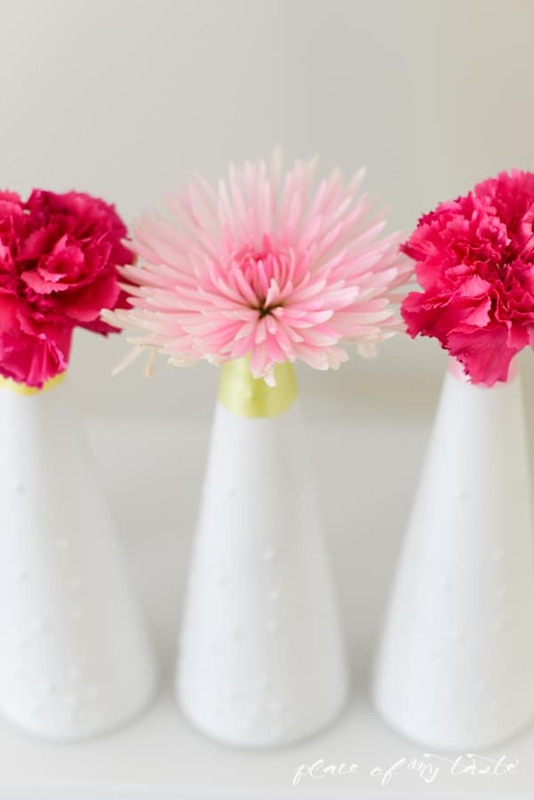 I have one of these vases, too! I never thought of painting it before, but yours turned out great. These look so pretty!!!! Love the touch they put in your place! Definitely Pinning!!! Thanks sweet, Cami! Sometimes little things make huge impact on a space! Have a great week! What a fantastic, cheap transformation!! Thanks for sharing at our Motivational Monday party! Be sure to stop by again tomorrow to link up another post. Thank you Amanda!Have a great week!